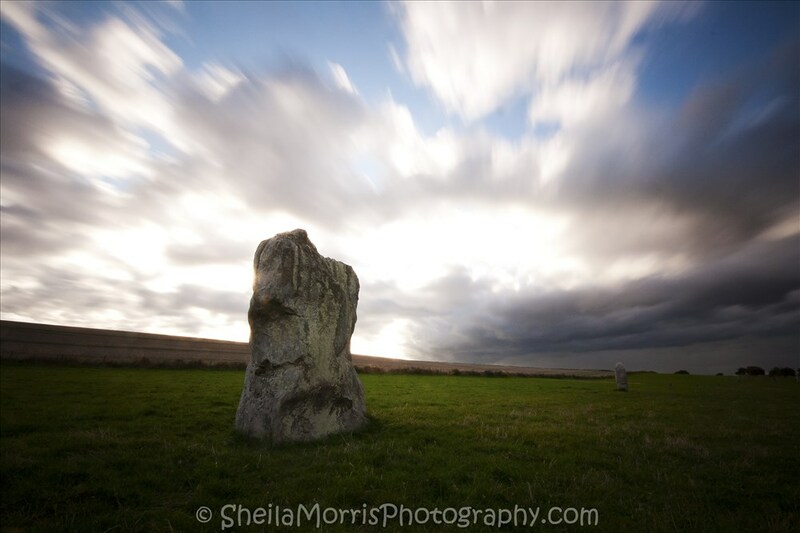 This stone forms part of the West Kennet Avenue that leads you to the Avebury stone circle. There are many stones down this avenue, though there are quite a few that have gone missing over the centuries. These missing stones are marked out with way markers to give you some sort of processional route from one location to the stone circle. I managed to capture this shot before the rain in the distance caught up with me. Thankfully I was in the local pub enjoying dinner with a couple of others by the time it actually started raining. Good timing you could say.